1) Extreme dynamic range. 24 bit encoding gives real-world ca: 125dB of dynamic range, leaving a lot of headroom. Headroom is NICE. "If most of these LPs that everyone is purchasing are digital in origin - where do you feel the advantage sonically is coming from when playing the LPs versus the original digital?" Is anything important lost to this process? Probably. At least a little bit. But what is interesting to me about the analog engraving and playback process is that it is also additive. The magic of analog is in its character, and that is something generated in the processes of engraving the lacquer in the first place, and playing back the record in the last place - and mostly the latter. You see, stereo DIGITAL recordings encode two completely discrete channels from the lowest to the highest frequency, and the only time that the information in these channels have a chance to interact (DSP notwithstanding) is when the music is launched into the air through the loudspeakers. This kind of inter-channel immunity is considered a feature, not a flaw. When the music is transferred to a stereo LP, both channels are encoded through a single device into a single groove, like an ink-pen writing two letters simultaneously. One pen, two letters. The information flowing from two discrete channels is now interacting through a single instrument. This kind of interaural miscegenation is seen as a flaw, not a feature. During playback of the LP, a single stylus tracks the stereo grooves and - again! - the channels of information interact in some way. Typically, we consider that there is probably around 25dB of channel separation in decent MC cartridge setups, but this doesn't necessarily tell the entire story about how and why a phono cartridge performs the process of decoding music that has been engraved to an LP record. And while it could be good fun to discuss how a phono cartridge and phono preamplifier behave as signal processors, which they do, for the purposes of this post it's important only to know that the manner in which analog extracts and decodes signal is entirely different than that of a purely digital playback scheme, because once we acknowledge this it becomes easier to understand why analog may be a more desirable listening experience for some people (like me). My argument is this: The "flaws" in the analog encoding/decoding process are actually FEATURES. The L/R signals are forced to interact because the single stylus/cantilever assembly has to trace two channels simultaneously and move (up,down,left,right) continuously in the space of the groove. If its moving up, it can't move down. If it's moving left, it can't move right. As well, the cartridge stylus and cantilever impart character to the playback, as does the rest of the phonograph system. So, philosophically speaking, we might say that Digital playback can be characterized by the attempt to maximize separation between the left and right channels with as little editorial contributions as possible, whereas Analog (LP) playback can be characterized as the attempt to minimize the interaction between left and right channels with as little editorial contribution as possible. Analog, however, can only get so far in these regards. Unless you're using a linear-tracking tonearm, you will be dealing with distortions caused by the offset-angle of the stylus in the groove as it traces an arc through grooves that were original cut tangentially. You'll be dealing with only 25dB or so of channel separation, usually measured at 1k only. 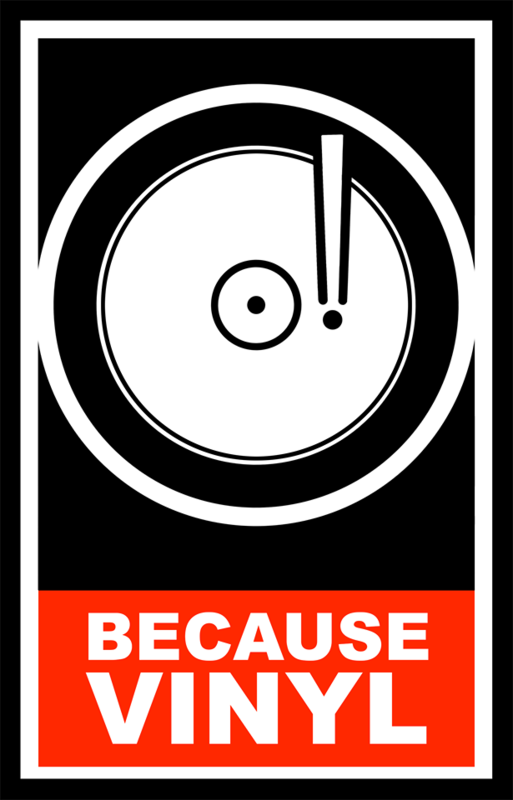 You'll be listening to artifacts created by the resonances in the cantilever assembly and cartridge body, the tone-arm, the platter, the plinth. You'll be hearing the effects of the left and right channels interacting in various ways. The argument that favors digital is simply that it is, compared to analog, the purest means available for discrete channel separation and artifact-free playback. This is true to a fault. Take two ribeye steaks - really good ones cut from the same rack. (for you vegetarians: take two sprigs of broccoli ...). The digital cook is going to cook the first ribeye with the kind of precision that it takes to deliver an utterly unaltered (and unseasoned) piece of meat to your plate - ostensibly the same as it was prior to cooking, only hotter. 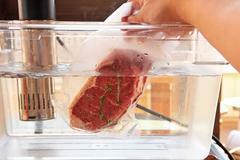 Perhaps the digital chef will use a sous-vide apparatus to ensure that the steak is not affected by the contributions of the heating method, such as smoke. The analog cook is going to season that steak with salt and pepper and then maybe cook it on a wood fire ... oak is nice. Very hot, so that he gets the maillard reaction on the outside of the steak to make a mouthwatering crust, while leaving the inside mostly rare to mid-rare, and juicy. Which steak do you want to eat? And this is a rough idea, full of holes, full of flaws, certainly not an IDEAL argument, but rather it intends to evoke the spirit of the difference - as I see it - between analog and digital without trying to be a 1:1 comparison. No need to raise the issue with me - I already know. The only thing important to the listener when listening to music is the pleasure that they get from it. Why else listen to music? I'm not saying that listening to digital can't be pleasurable - it surely can be, and I listen to digital music quite a lot. I'm not philosophically opposed to digital at all. I am saying that analog playback produces a manner of audio maillard-reaction that contributes to the delight I get from listening to the music that I love. This is not an argument from purity, not an argument from technical achievement, but purely an Argumentum ad Delectatio: Argument from Pleasure. 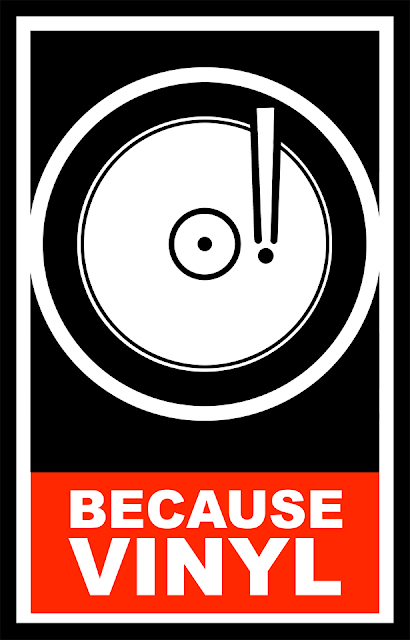 Analog LP playback is, in effect, a signal-process that has the potential to produce pleasurable effects in the listener as a byproduct of its unique means of encoding and decoding the stereo signal on and from an LP record. And this is why, to my ears, even digitally-recorded material can sound more delightful when encoded and played back through the analog LP. The Audio Maillard Reaction™ is a kind of processing that evokes great musical pleasure ... and musical pleasure is important to me.